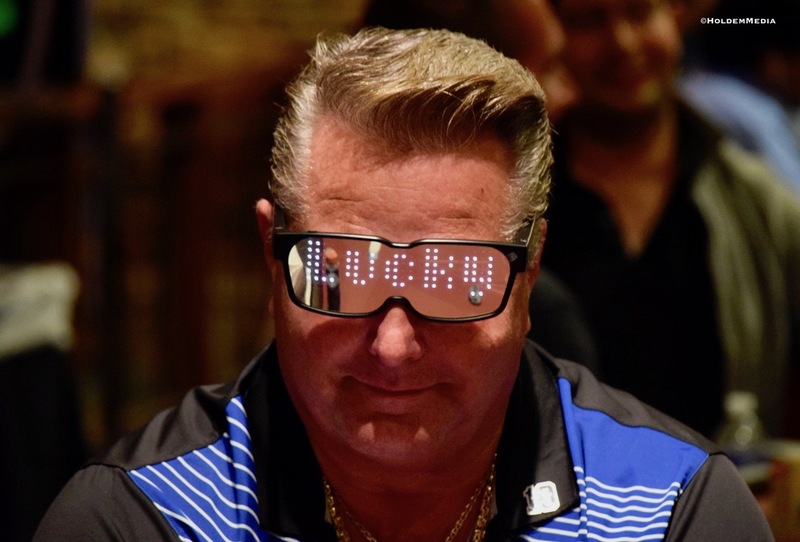 Billy Casey is all in on the K-K-3 flop with trip Kings and a backdoor flush draw to his 9. Billy should be in great shape, right? Well, you see, his challenger has 3-3 for a flopped boat. The turn 2 means Casey has 7 outs to the 2, 9 and case King. Case King on the river. Lucky Billy, just like the glasses say.